← Venom – Lethal Toxins or Medical Miracles? In the rapidly advancing field of bioengineering, some fascinating new technologies are surfacing. 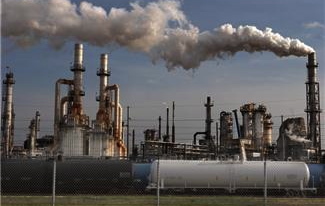 I’ve blogged in the past about microbes that were tweaked to produce fuel. 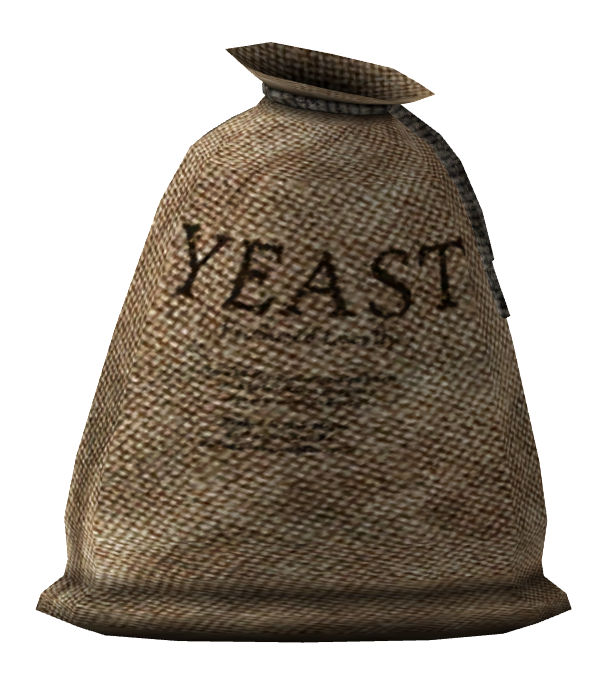 Recently it was announced that new strains of yeast are being used to produce powerful narcotic drugs. When this technology is further refined, the reality could be that yeast will be used to convert simple sugar into morphine and other opiate painkilling drugs—much like winemakers use yeast to convert fruit sugar into alcoholic beverages. As a writer of thriller/suspense novels, the idea of using such technology in errant ways to create sinister plots is almost as exciting as the technological achievement itself to convert simple sugar into important painkilling drugs. Ten years in the making, this technological advance was described last month in the journal Science. A team of researchers at Stanford University started with 20 genes selected from rats, bacteria and several poppy plants (California Poppy, Iranian Poppy and Goldthread) and inserted those gene complexes into a microbe similar to Brewer’s Yeast. 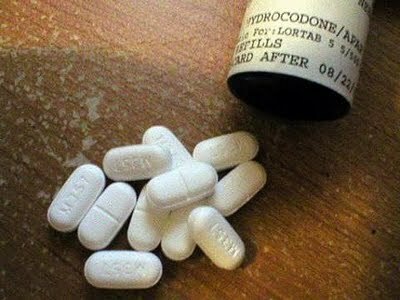 The outcome was a conversion of sugar into the powerful painkilling drug hydrocodone (brand name Vicodin). Another strain of yeast was able to convert sugar into the chemical thebaine—a poisonous Class A narcotic substance that causes lethal convulsions but which can easily be turned into a variety of beneficial opiate drugs such as oxycodone, codeine and morphine. This is an extraordinary achievement in that this new technology could free the modern world from the limitations of narcotic manufacturing from plant sources. 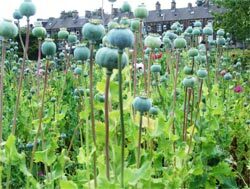 For thousands of years, and even today, humans cultivated opium poppies to process into narcotic drugs that control pain. The downside is that few countries permit poppy growing for medicinal purposes at present and the prospect that crop damage for whatever reason to even one area of plant production would create a worldwide shortage. Having an alternative to crop reliance for drug manufacturing is most compelling, particularly when scientists argue that biotechnology could be used to make other drugs in a similar fashion or to tweak the yeast strain in order to produce safer, less-addictive narcotic drugs. At present the DEA is taking a concerned look at this new technology as a possible new illegal industry for home brewing of additional designer drugs. The concern is that if a robust, easy-to-grow strain of yeast was designed to produce morphine, a simple additional chemical reaction would turn that into heroin and a much cheaper, easier method to heroin production would become a reality. This entry was posted in A How To Blog on Murder Plot Ideas, A New Drug Abuse Threat, A New Street Drug, About James J. Murray, About Medications/Pharmacy, Alternative To Botanical Sourced Narcotics, Alternative to Botanicals for Painkiller Drug Manufacturing, Alternative Ways to Manufacture Narcotics, Blog Writers, Blogging, Converting Sugar into Thebaine, Designer Street Drugs, Designing Murder Plots, Dramatic Murder Weapons, Future Drug Manufacturing Practices, Future of Drug Manufacturing, Future of Prescription Drug Distribution, Ideas for Murder Scenes, Interesting Murder Weapons, James J. Murray, James J. Murray Blog, Murder Mayhem and Medicine, Murder With Drugs, New Drug Discoveries, New Drug Manufacturing Methods, New Ways to Manufacture Painkillers, Prescription For Murder Blog, Sugar Conversion into Narcotic Drugs, The Pharmacy Profession, The Practice of Pharmacy, Unique Murder Plots and tagged Alternative to Botanical Source Narcotics, Alternative To Growing Poppy for Morphine Production, blogging about drugs, Converting Sugar into Hydrocodone, Converting Sugar into Morphine, Converting Sugar into Painkillers, drug-related murders, fiction writer, James J. Murray, Murder Mayhem and Medicine, murder mystery writer, new blog, pharmacist writer, Prescription For Murder Blog, Science of murder, writing pharmacist, Yeast Used to Make Drugs, Yeast Used to Make Morphine, Yeast Used to Make Narcotics. Bookmark the permalink. Fascinating! Thanks for the insights, James. Superb as always!